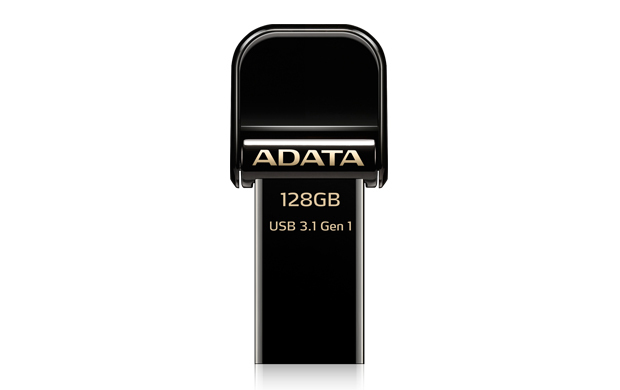 ADATA Technology, a leading manufacturer of high performance DRAM modules, NAND Flash products, and mobile accessories today launched the i-Memory AI920 Jet Black Flash drive for iOS devices. Featuring Lightning and USB 3.1 in one slim 6.9mm device, the AI920 delivers 32GB, 64GB, and 128GB capacity and up to 150MB/s read. The Jet Black color scheme has been added in order to better complement Apple devices with an exact color match with iPhone 7, giving consumer more choice. The AI920 is also Apple MFi certified, making it an official iOS accessory. The Jet Black version offers more than a stylish look that goes well with iPhone 7. ADATA uses paint and coating materials that resist scratching, scuffing, and other forms of abrasive damage. The AI920 Jet Black boasts surfaces rated 2H scratch resistant to ensure it retains a deep glossy luster long term. 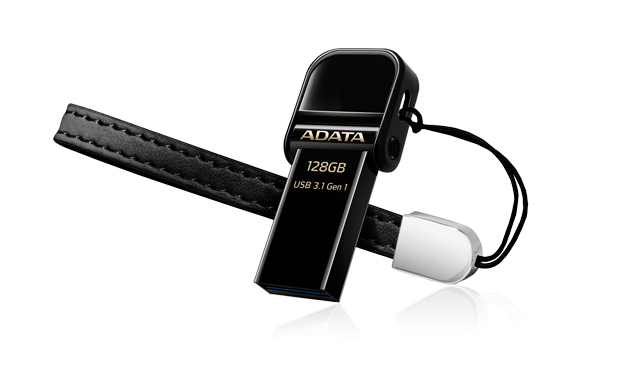 Additionally, ADATA has tested the AI920 water and dust resistant so that user data is protected on the go, as befits a highly portable storage device. Connectors have been extended for an easy and secure fit even if devices have very thick covers installed by users. The AI920 works in plug n play as storage expansion when connected to iOS and Windows devices, allowing easy data transfer across different operating system families. It was designed with an emphasis on entertainment and media, working even better when paired with the ADATA i-Memory app, a free download from the App Store. With i-Memory, the AI920 adds support for 4K video, Live Photos, lossless audio, and virtually every document, photo, video, and audio format. It also becomes optimized for Apple Airpods, delivering lossless music quality. The app enables one-touch backup, file and folder encryption, direct content save, and subtitle support for complete entertainment experiences. The AI920, in conjunction with the i-Memory App, also features Chromecast mirroring compatibility. Users can quickly and effortlessly stream content stored on the AI920 to any TV with Chromecast, with minimal lag and no loss of quality.